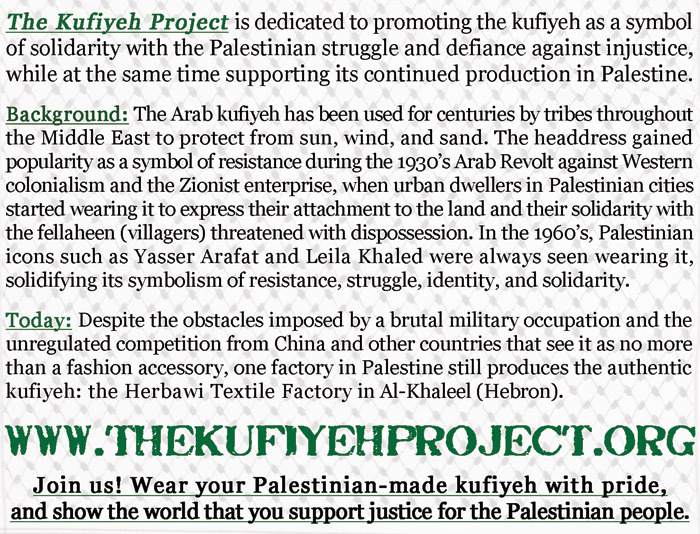 Palestine Online Store - Based in the U.S., but ships worldwide, including wholesale orders directly from the factory. Glasgow Palestine Human Rights Campaign - Solidarity group based in Scotland; all proceeds go to the factory. A more complete listing of other outlets will be added in the future.